LG’s next smartphone may have you seeing double. And no, it’s not because of a foldable display. The company will launch a smartphone, whose name hasn’t been finalized, that will have an option for a second-screen attachment, according to a person familiar with the situation. The attachment, which the person describes as a sort of case with a screen, could potentially double the total screen size of the device. There was some confusion over LG launching a foldable smartphone thanks to a report by Korean-language outlet Naver. But this phone won’t fold. It’s unclear how the gimmick will work, but it’s certainly different at a time when the company could use different. LG has struggled to stand apart from an increasingly competitive field of smartphone players. While Apple, Huawei and Samsung dominate high-end phone sales and OnePlus and other Chinese makers hit more budget-conscious consumers, LG is caught in the awkward middle. 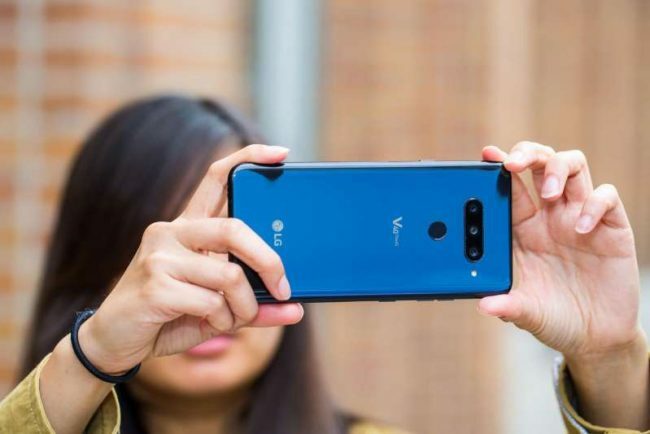 Its flagship smartphones, the LG G7 ThinQ and LG V40 ThinQ, are decent devices that often get overlooked for flashier alternatives. So the G8 needs to make a splash. Samsung has already teased its foldable smartphone, but other companies are still dealing with issues like wear and tear of a flexible screen and software and user experience issues. Samsung believes it’s solved some of those concerns.